The Weekly Standard reserves the right to use your email for internal use only. Occasionally, we may send you special offers or communications from carefully selected advertisers we believe may be of benefit to our subscribers. Click the box to be included in these third party offers. We respect your privacy and will never rent or sell your email. Please include me in third party offers. The 68,000 Remember campaign sponsored by Spirit of America recognizes and supports the often-forgotten 68,000 American troops that still serve in Afghanistan. 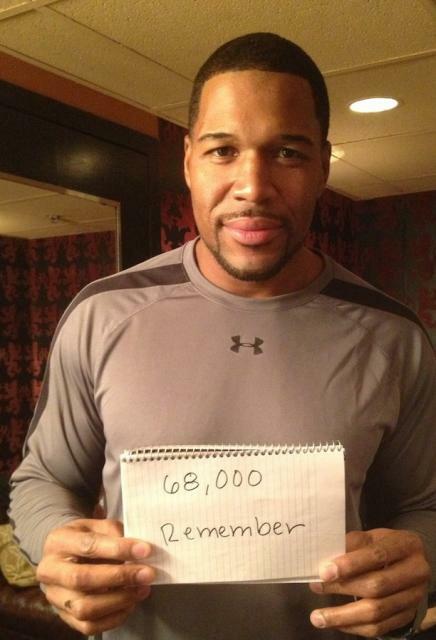 Upload your photo that features “68,000 Remember” and help build the Wall of Support. Get your family and friends involved. Our goal is to get 68,000 photos, one for every American servicemember. Kristol: Did The Debate Make a Difference? What would James Burnham make of our ruling class? Hungary’s Orbán cancels Merkel’s invitation. © Copyright 2015 The Weekly Standard LLC - A Weekly Conservative Magazine & Blog. All Rights Reserved.